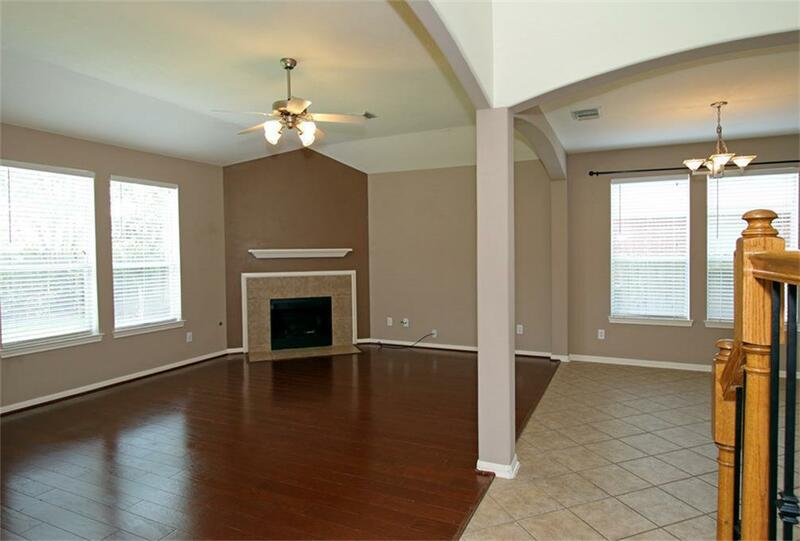 Immaculate 2-story Home in popular Falcon Rock neighborhood near Katy Mills Mall and zoned to exemplary rated Katy ISD! 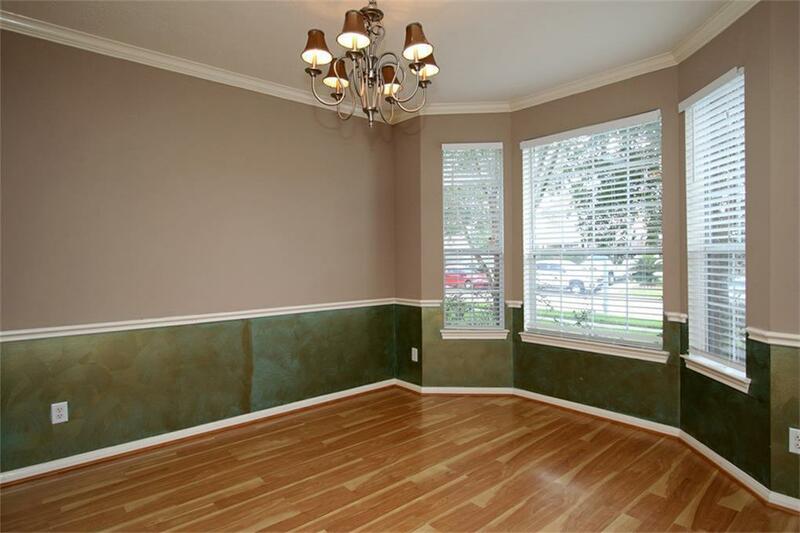 Many recent updates include quality laminate wood flooring throughout majority of home, solid wood staircase with wrought iron railings, granite counters in kitchen, upgraded and recently replaced kitchen appliances, auto lawn sprinkler system for both front and back yards, custom 2-inch wood blinds throughout and more!! Refrigerator and Washer & Dryer included in sale of home! This beautiful home features the master bedroom on the first floor with a spacious walk-in closet, double vanity sinks, garden bathtub and separate walk-in shower! 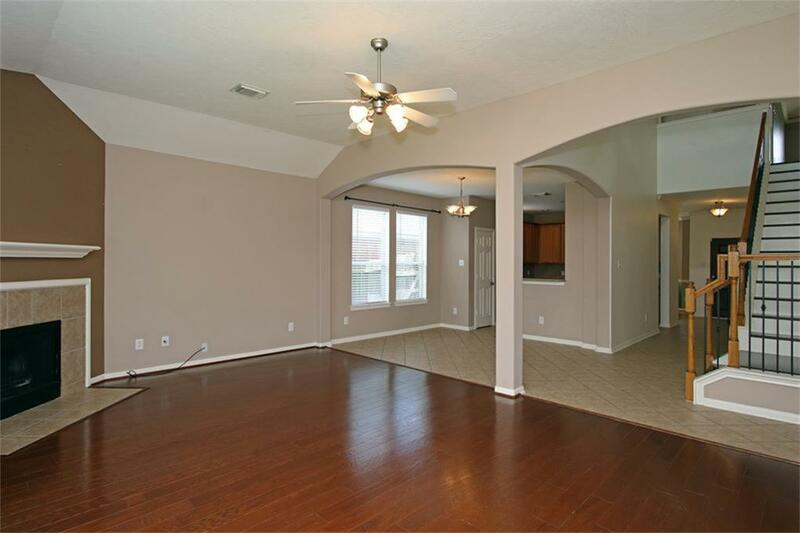 Spacious Game-Room on 2nd floor features cove lighting and quality laminate wood flooring! 3 additional bedrooms and 2 full bathrooms including one with "jack & jill" setup also on 2nd floor! 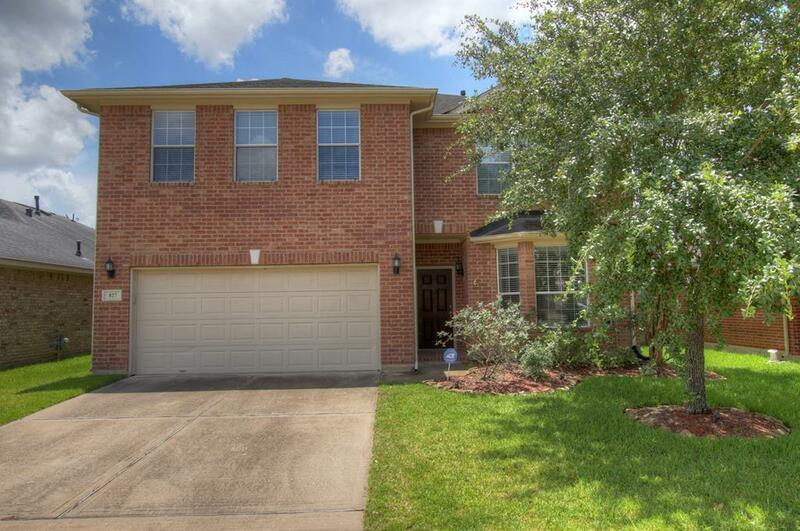 Wonderful neighbors, serene neighborhood, excellent access to Interstate 10 and Grand Parkway both within approximately 1 mile away!